Tests are designed to assess students skills and prepare them for various competitive exams. 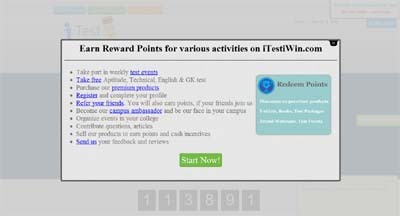 They also earn rewards for participating on iTestiWin.com. Rewards can be redeemed for various gifts.